what Zack make is documentary and cityscape, but not street photography. Can you please enlighten me about the differences? I could google or wiki the terms but I want to know how you define them. If you mean with street the "I have big balls and hold someone my camera in his face eric kim style", then you are right. that stuff is much better. Erik Kim is a completely overrated photographer, is like Bruce Gilden but younger. For me, street photography, is when you have the skills to catch the moment without create it, if you ask "can I take a photograph?" for me thi is documentary, if you are taking building or a general view of a city, this is cityscape or architectural photography. Street photography is a very misunderstood style and people tend to confuse it. You must to be invisible in front of the target, be brave but not invasive, put soul on your work and show it without caption or special videos and much more less, taking your photograph with a cell phone at the distance, this is what a tourist do, not a professional. My biggest problem with Zack´s work, is that there are no soul, is all flat. The idea that street photography involves shooting pictures of people without their awareness or tolerance is completely wrong. All of the legends had at minimum the indifference of their subjects, and often tacit agreement. I've shot in countries and locations where I was the first camera they'd seen in years, and in places where there are thousands of cameras a day. The former is much easier. The latter, you're dealing with the result of the lack of respect and sneakiness of the few thousand pretend street photographers who came before you. Zach connects with his subjects, at some level. That's the source of what works. Street photography in Marrakesh is one thing, they've been saturated with tourism for 50 years or more - you might get a shockingly different reaction if you tried it in Fez. I've shot street in Marrakesh and Fez. No difference, really. Handing out free Fuji Instax photo souvenirs to the street people you're shooting is a great ZA tip, especially if Fuji supplies the cameras and the Instax film. Great stuff. Credit card size photos (2.4x1.8") using 20 exposure ISO 800 film packs at $13.40 per pack (B&H price). I wonder if Zack ever owned or even used an Instax before doing this Fuji promotional video? Here's a tip for Zack. Next time he can look like a pro by getting a Lomography Diana Instant Back + for the Diana F+ Camera. 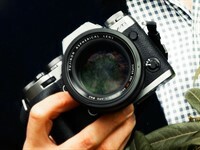 > This amazing accessory will now allow you to turn your Diana F+ camera into an instant camera, with some tasty twists. 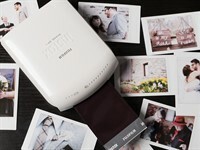 The Instant Back uses Fuji Instax Mini film, which is about the size of a business card. Handing out instant images is what we did in the 60s. Instant crowd of admirers. I, too, appreciate "well built models". I have been doing more and more of the #1 tip. It sure is interesting, I actually recently talked to a magician and commented I could use some of the tricks from his trade to combine with street photography. I have to follow up with him. The eye-opener to me though was the sharing of the Instax shot- if something says something good about film, that's it! That sure feels good- to share something instantly with the people you are taking their shots of and leaving behind, no computer needed, right there and then. That alone makes me consider one. Great insights and just plain enjoyable video. Very enjoyable and well done. Wow...what a fine video! Thoroughly enjoyed that. 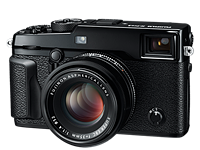 Especially interesting to me, since I have an X-T1. I am very inexperienced with flash photography, so it would be nice to have some follow-up tips on gear and usage. Enjoyed watching. Just one issue. Not crazy about Zack thinking it is cool to give tips on how to be sneaky and photograph someone on the sly. Surely, as a street photographer he should be encouraging people to ask permission and actually develop a relationship. You will end up with far more intimate photos and a richer traveling experience. We are, after all, guests in their country and should act with respect. Different genre. He shoots the other kind, too. Watch his stuff on Youtube. Privacy law differs depending on the country, so it helps to know it before you go. To me, if you ask for permission first then you lose the candidness of the subject - it becomes more like an environmental portrait. I shoot first, then ask for forgiveness later (if not forgiven, then just delete the shot). I am bothered by the ethics. Someone coming from the first world to "sneak up" on people living in lower income countries. To top it off, this is not just someone taking private vacation snaps but making money off it and releasing the images on the world wide Internet without the permission of most of the subjects. One would be more hesitant to do this in an EU county or North America but somehow being in an "exotic" locale makes it ok? "One would be more hesitant to do this in an EU county or North America"
??? It is perfectly alright in North America, no problem at all. It is protected by law. No, I don't think street photographers should ask for permission: in this way we encourage people to show their fake self on the camera. We should have the ability to reveal the truth about other people in our photos, so we must take pictures without alerting our subjects. After all, the camera is an extension of our eyes and publishing/selling the photos is an extension of our freedom of speech, so we don't violate anyone's privacy. @kona_moon, Chrysanthi Lykousi: What's wrong with asking for permission afterwards? 1. You still get the great shot. 2. Talking with the subject might open more opportunities (which I suppose balances out the few opportunities you might lose because you do not get permission to keep the photo). 3. The ones who refuse permission and ask for money have probably been photographed lots before, so you're deluding yourself thinking you have that great authentic photo. Asking permission is fine--you get one type of image. Not asking (where legal and safe) gets you another sort of image. Both can be excellent. Cool video, I hope they share the resulting gallery somewhere. Looks like he was using Pocket Wizards for the remote flash triggering. Not sure what kind of flash it was though. True fact: Zack Arias flys to Morocco once a year to get his gotee groomed. This guy takes great pictures, cool lil tips and tricks. But yeah why people need wifi? I prefer GPS over that feature, especially for travel. On a side note, and technically speaking, Morocco is not in Middle East. Well, that certainly is a video worth watching. Some nice interesting tips and well produced. Would be neat to be able to go all over the world, but sort of dangerous anymore and pretty expensive on top of it. Not as dangerous as the media would have us believe but more expensive than they would have us believe. 'Dangerous' and 'expensive' and 'getting out to see new places' as the fellow in the video recommends are all relative things. Sure, a place like Marrakesh was chosen because that is a place that just sounds exotic to most people. Real street stuff there, right?